Win a free Hair Makeover from Tony and Jackey! Tony & Jackey, one of the leading salons in the Metro providing Korean style salon experience is giving away a free Hair Makeover Experience to 10 lucky winners with their latest online event: T&J Throwback Hairstyle on Facebook #T&JThrowbackHairstyle #Style Your Dream! 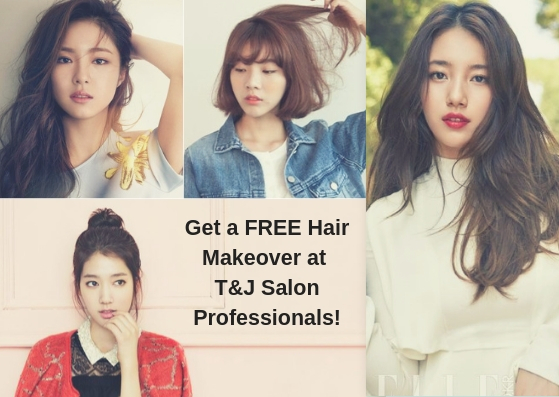 For those who wish to bring back their Korean hairstyle, be it like Suzy Bae's hairstyle on Dream High or probably Park Shin Hye's casual look that you had last year, T & J SALON PROFESSIONALS will make sure to achieve it all for you! Excited? 2. In the comment section of the Official post, follow the format entry - T&J Hairstyle Throwback Contest! 3. 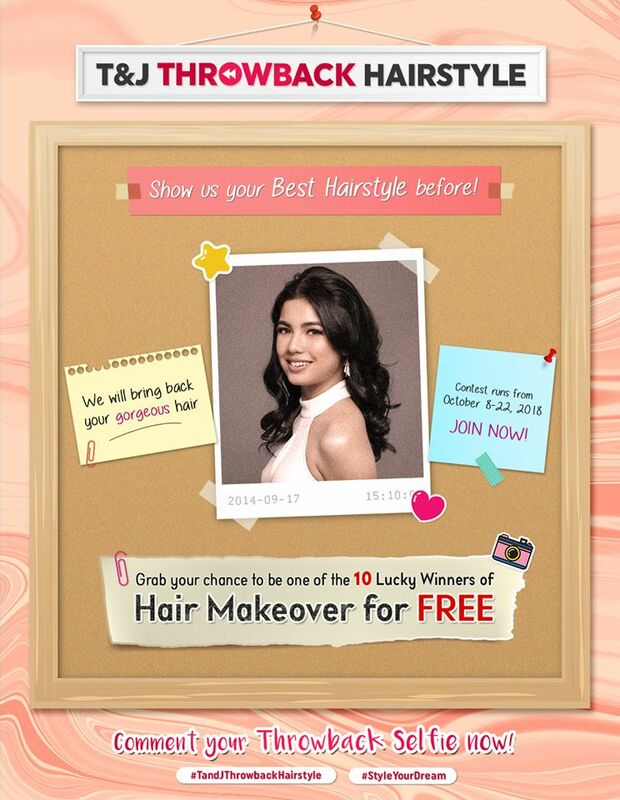 Upload the best photo and hairstyle you want to bring back and be one of the winners of Hair Makeover. Note: Counted comment entries are only on the Official Post of the T&J Salon Professionals Facebook page. Join now! Submission of entries is until October 22, 2018! I need and want this hair makeover! What a generous giveaway! Good luck to all the entries and be beautiful! My wife loves Tony & Jackey. She'd be thrilled to know this. Wow! Gusto ko mag join! 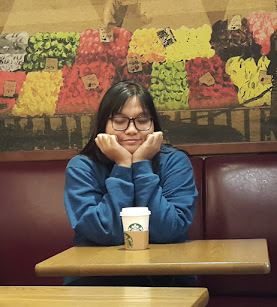 Ok kase services nila!